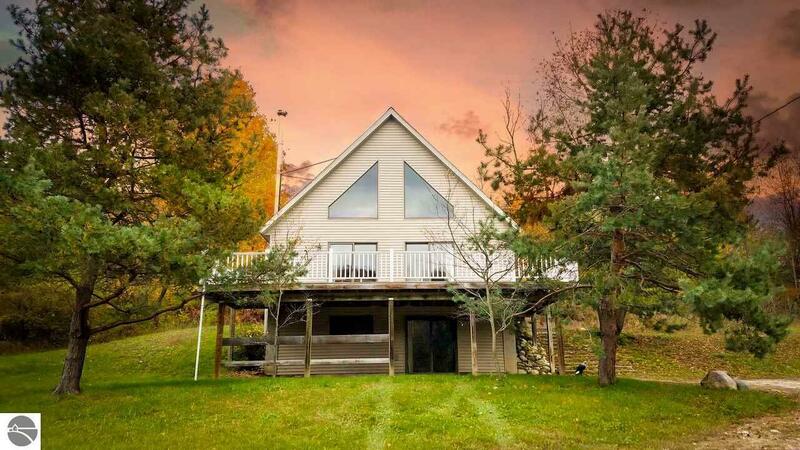 "Welcome home" to this quality move in ready home on over 5 acres. Priced for a quick sale this custom built beauty with 3 bedrooms/2 baths features upgraded hickory cabinets, bamboo flooring throughout main floor, new carpet and paint, solid maple doors, stainless steel appliances. You will love the open floor plan and all the natural light with the cathedral ceilings. The full walkout basement has a wood burning stove and a large family room plus huge storage area. Extra large kitchen pantry has washer/dryer hookups if you prefer to move the laundry from the basement to the main floor. Kids will love the treehouse, sandbox and exploring in the woods! Areas for horses, gardens, campfires, and even includes an underground fence for pets. Available for fast close and move in. Home warranty provided with acceptable offer!